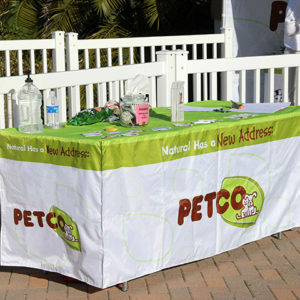 8′ Stretch Table Cover. 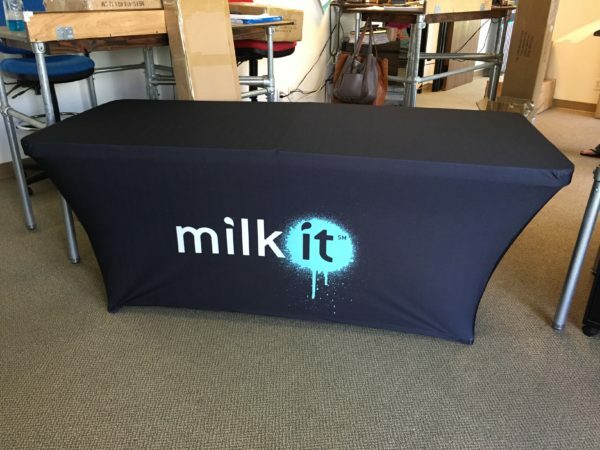 96″L x 30″W x 29″H. Digital print on 130-gram Spandex. “Three-sided” w/arched open back. Sewn leg pockets. 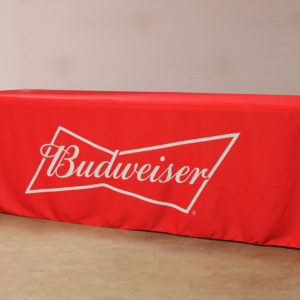 These covers are “three-sided” because the back features an arched opening for easy under-table access. Table legs fit into sewn pockets at the corner, which give the cover its form-fitting shape. 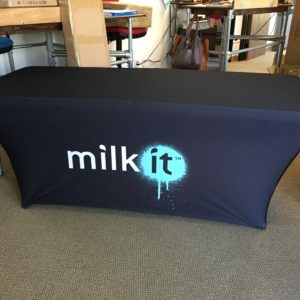 One note about serviceability: because the legs rest on the fabric and not directly on the ground, using stretch covers on streets, parking lots, hard dirt or other rough surfaces can seriously reduce their lifespan.